Heritage New Zealand Pouhere Taonga is delighted with the acquisition of the Government Buildings Historic Reserve and Turnbull House Historic Reserve in central Wellington as part of a property portfolio realignment with the Department of Conservation and Ministry for Culture and Heritage announced today. DOC has received from Heritage New Zealand Pouhere Taonga the Whangamarino Redoubt Historic Reserve at Mercer, Clifden Suspension Bridge in Southland, Gabriel Read Memorial Reserve in Otago, Springvale Suspension Bridge east of Taihape and full control of the Brunner Industrial Historic Reserve on the West Coast. 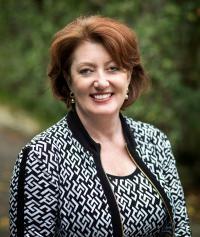 In 2015 Conservation Minister and Arts, Culture and Heritage Minister Maggie Barry asked the three entities to work together to review their collective portfolio of heritage properties to ensure they were most effectively managed. The transfers have been completed following consultation that included iwi and will take effect from 30 June for the Wellington properties and 1 July for the remainder. For Heritage New Zealand the properties will be part of an already impressive property portfolio the country’s lead heritage agency cares for on behalf of the country. Other properties include the Stone Store in Kerikeri, Pompallier House and Printery in Russell, Old St Paul’s in Wellington and Totara Estate just south of Oamaru. “These are significant, prominent heritage properties in Wellington that we look forward to caring for and enhancing,” says Heritage New Zealand Chief Executive Andrew Coleman. “The Old Government Buildings is a real feature of the central city. And there are a range of exciting opportunities for Turnbull House once it reopens after strengthening work is undertaken. We will be able to advise further on timeframes in the coming months, but options could include office space, hospitality or as a venue for hire. Two historic Wellington buildings are being transferred from DOC into the care of Heritage New Zealand from tomorrow. Conservation and Arts, Culture and Heritage Minister Maggie Barry says Turnbull House and the Old Government Buildings are among 7 sites to be transferred in June or July. “While these two Wellington buildings currently sit within the DOC portfolio it makes sense for them to be vested with Heritage New Zealand which has long-standing experience in looking after urban buildings of historic interest to New Zealanders,” Ms Barry says. “Responsibility for the Whangamarino Redoubt Historic Reserve at Mercer; Clifden Suspension Bridge Historic Reserve in Southland; Gabriel Read Memorial Reserve in Central Otago; Springvale Suspension Bridge, east of Taihape; and the Brunner Industrial Historic Reserve site in Greymouth will transfer from Heritage New Zealand to DOC,” Ms Barry says. “These transfers are pragmatic, straightforward transactions with no money changing hands and people will see little difference in the day to day management of these sites,” Ms Barry says. Heritage NZ already looks after a number of historic buildings and sites including Wellington’s Old St Paul’s, the Stone Store in Kerikeri, Pompallier House and Printery in Russell and Totara Estate just south of Oamaru. Government Buildings, completed in 1876, is a Category 1 listed building with Heritage New Zealand. It is built entirely of timber, and remains probably the world's largest timber office building. It features include two staircases, eight vaults, 143 rooms, 126 fireplaces, 22 chimneys, two hydraulic lifts, 64 toilets, eight verandas and seven porticos. Government ministers used the building during Parliament's recess until 1921. The Executive Council met in the building until 1948. The government decided to restore the building and work began in 1994 under the management of the Department of Conservation, which became the building's owner. The work cost $25 million and was completed early in 1996. The Law Faculty of Victoria University signed a 50-year tenancy that year. Turnbull House on Bowen Street is a three-storey brick building designed by William Turnbull as a private home for nationally significant collector and bibliophile Alexander Horsburgh Turnbull (1868-1918). It is Category 1 listed with Heritage New Zealand and it has historical, cultural and architectural significance as a rare example of a purpose-built home and library, with a mix of Scottish Baronial, Queen Anne and Medieval architecture. From 1918 the building housed the Alexander Turnbull Library for 55 years, a research library of international standing. Comprehensive restoration was undertaken in 1994 by DOC, including re-roofing and restoring architectural features that had been removed, along with ensuring the building is fire resistant. Deemed earthquake prone by the Wellington City Council in 2009, the building was closed in 2012 pending further strengthening work. Today Turnbull House remains an important part of the Government Centre Historic Area.